Great wireless noise cancelling in-ear earbuds for those who like more bass. 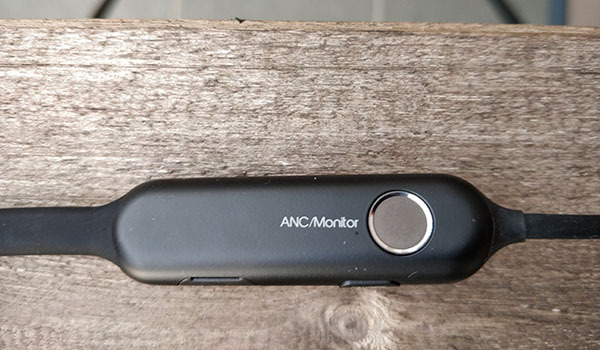 One of the best wireless Bluetooth earbuds with noise cancellation. Great value-for-money noise cancelling in-ear headphones. 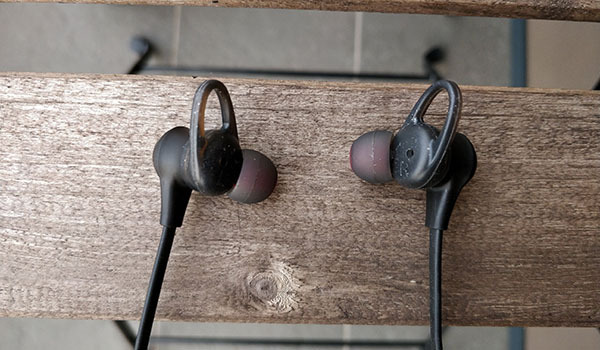 With bass emphasized sound, IPX4 water protection, comfortable and stable fit these are one of the best on the market right now. 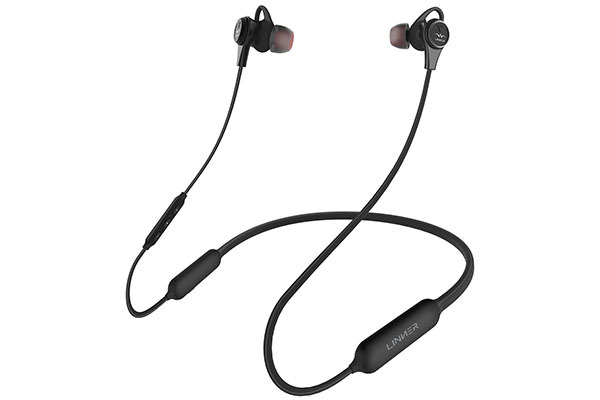 Linner NC50 are listed in the best noise-canceling earphones guide as one of the best value-for-money models. Noise cancelling works very well. Easily comparable to more expensive over-ear NC headphones. It’s very important you pick the right ear tips to get maximum passive noise isolation. Only then will the noise cancelling be effective. The button for turning on active noise cancelling is big and easy to use. According to Linner these remove up to 97% of background noise but do keep in mind this is only for specific frequencies. Hold the button for ANC and you get “normal mode” (without ANC). If you travel by plane a lot, these will be invaluable for longer flights. NC50 do remove most of the deeper sounds and also some higher tones. You simply put them in, press the button and immediately enjoy more peace and quiet. If you dislike flying in noise you’ll love these. We’d say these have above average noise cancelling overall. One small issue we noticed is a big volume difference between monitor and noise cancelling mode. The sound becomes a lot louder. This makes sense since the “monitor mode” is made so you can hear people around you but sometimes the change can be very dramatic. Especially if you forget you’re in the monitor mode. Anyways, the mode works as intended you just have to get used to it. But there is one problem, if there is no noise around you, you’ll hear a buzzing sound in the background. A lot of the noise cancelling headphones have the buzzing because of the technology, but here it might be a bit more noticeable. Keep some music playing and it’s a non-issue. Built-quality is good. Flat, rubberized cables with stress relief and sturdy plastic earbuds inspire confidence. Rubber parts are thick and flexible. They have a good weight and no part feels cheap. Also, you get 18 months of warranty, which is more than usual. 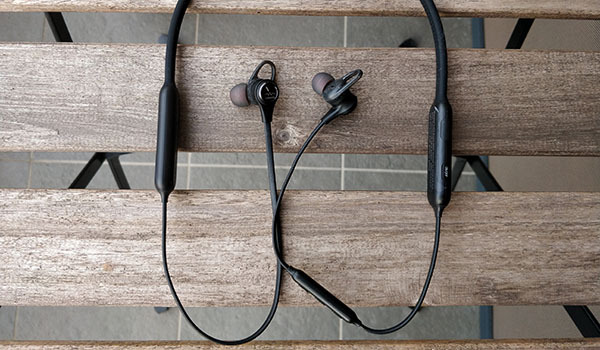 These are sweat-proof with IPX4 rating, so you could even use them as sports earbuds. Just like with other earbuds/in-ear headphones, the ear tips play the biggest role. You get 3 different sizes of silicone ear tips and 3 pairs of ear wings for better stability. With all in-ear models, we always recommend foam ear tips if you want to further improve the comfort. The earbud shape is ergonomic and fits nicely even though they’re a bit bigger in size. Now because of the size, you won’t be able to sleep with them on the side. They simply protrude out too much but that’s usually the case with all ANC earbuds. The battery and ANC circuitry has to go somewhere. 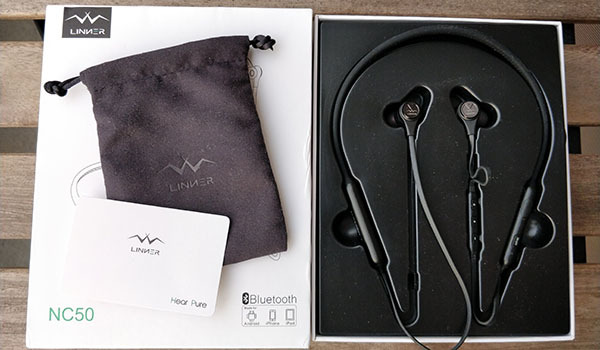 Overall, you can wear Linner NC50 earbuds for hours on end without any discomfort. The only time we’d advise against them is if your ears dislike in-ear headphones in general. The battery life is good with about 9 hours of playtime on a full charge with ANC on. If you don’t use the noise cancelling you’ll get a couple more hours (12-13h). The battery level is indicated by voice every time you turn them on. Unfortunately, while charging you can’t listen to them. It’s a shame but that’s how it works, they just shut down automatically. Bluetooth V4.1 is easy to connect and works like you’d expect. You get around 33ft (10m) of stable wireless range if no obstacles in between. Note: Check top Bluetooth earbuds. We tested how the connectivity handles thicker walls and while we did get some distortion initially, it calmed down and worked perfectly afterward. It handles thicker walls better than average. These noise-canceling earbuds are worn behind the neck and when you don’t need them you can use the magnets inside earbuds to create a “necklace”. Keeps them in place and this design is very common with modern in-ear earbuds. The in-line remote is positioned on the right side and has 3 buttons. You can control the usual, volume control, track control, play/pause, and calls. The microphone works well and the caller won’t know you’re talking with earbuds and not your phone. Sound quality is pretty good. It’s not for audiophiles as there seems to be a bit of emphasis on bass. Sound signature is geared more towards the general audience with a fun and dynamic sound. The bass is punchy and can go quite deep. It can be a bit muddy especially if the song is rich in bass but that’s to be expected from noise cancelling earbuds. If you’re a basshead and want ANC earbuds, these are a great choice for you. The mids and highs are good but nothing amazing. But compared to other noise cancelling earbuds you’ll be very happy with the sound quality. Just don’t compare them to high-end, non-ANC earbuds. There’s no aptX support which is a bit of a shame. The one thing that slightly bothered us is the volume change when you activate noise cancelling. The monitor mode is effective as it dramatically changes the volume level so you can talk and listen normally. It’s very useful. 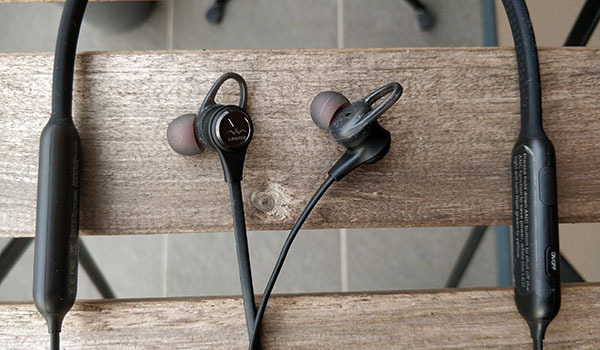 In the end, Linner NC50 are the best pick for people who want effective noise cancellation and stronger than usual bass for an affordable price. A great pick in the category.